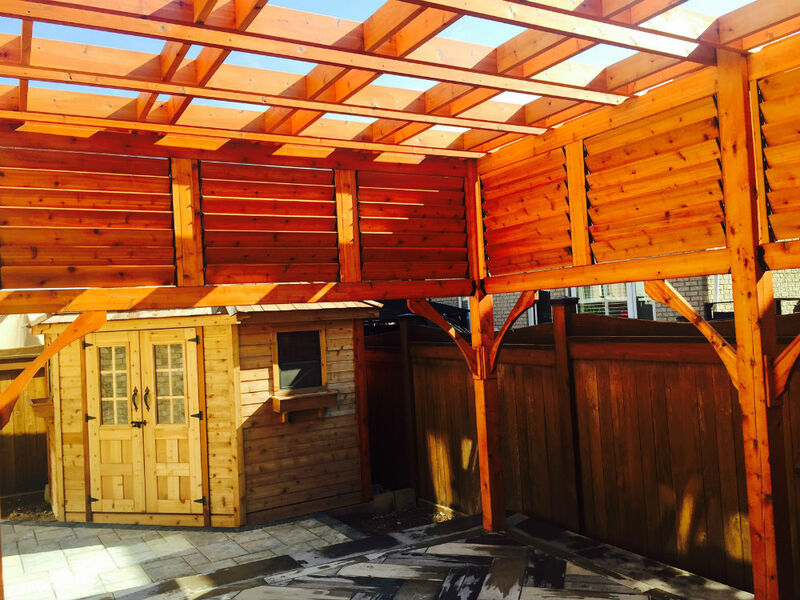 This Burlington pergola renovation was designed and built by Toronto Custom Concepts. 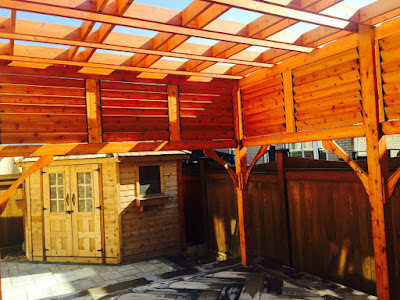 It provides a great covered area for those sunny days, and it also has flexible shutters that can angle out the exact amount of sunlight that you want to come in when you are outdoor entertaining. The flooring is a hardwood looking paver to get that indoor look outside. The floor is outlaid in a herringbone pattern. Hope you like this backyard retreat!